My fairy tale hidden treasure is technically a variant of "Little Red Riding Hood", but Adam graciously said I could share it anyway. I myself only stumbled upon this little tale rather recently, and I was surprised I hadn't read about it before. 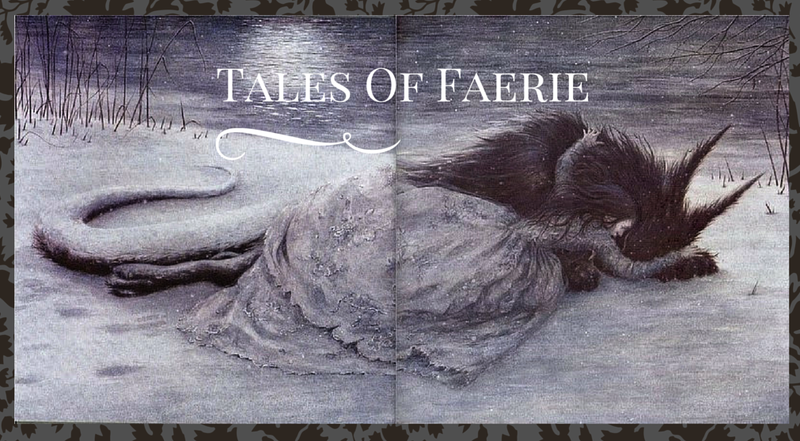 So when this opportunity came up to share a fairy tale hidden treasure, I thought this story would be perfect! It's really a shame that "The True History of Little Golden Hood" isn't more well known, especially considering its rather authoritative source (it's a French tale from Andrew Lang's 1890 Red Fairy Book). The story begins: "You know the tale of poor Little Red Riding-hood, that the Wolf deceived and devoured, with her cake, her little butter can, and her Grandmother; well, the true story happened quite differently, as we know now. And first of all the little girl was called and is still called Little Golden-hood; secondly, it was not she, nor the good grand-dame, but the wicked Wolf who was, in the end, caught and devoured. The story begins something like the tale." The plot is very much like the classic tale, until the part where the wolf tries to eat Little Golden-Hood, and doesn't succeed, because of the magical hood that protects her. 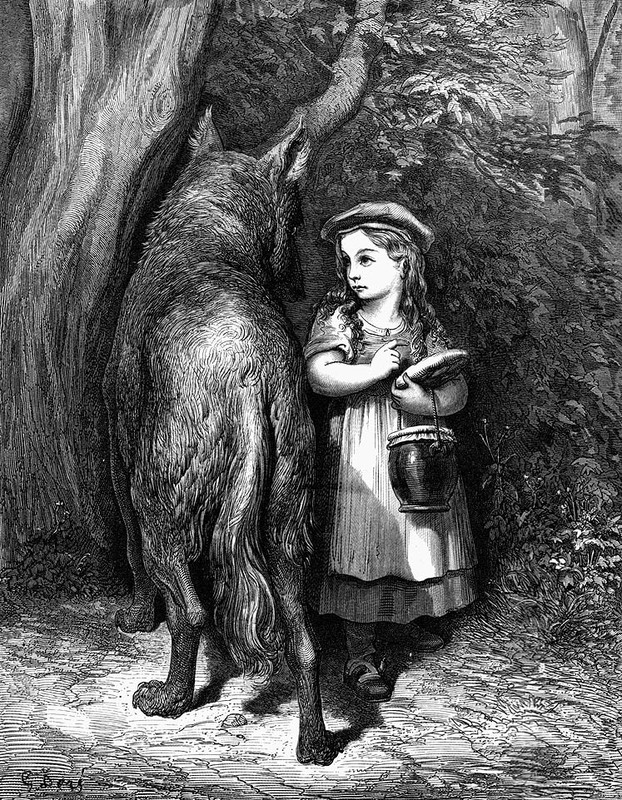 Although this little girl isn't quite the modern heroine that whips out a gun to shoot the wolf-she is still tricked by his deception and frightened like a normal little girl might be. But the hood, which when red is so often linked to one of Red's faults and therefore her downfall, ends up being her salvation instead. Her grandmother is completely capable of trapping the wolf on her own and there is no need for a huntsman to save them. 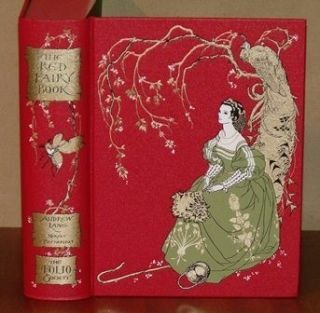 This tale is surprisingly feminist considering the time period and reads like one of the more modern twists on the fairy tale, yet sadly has been largely forgotten (much like second ending to the Grimm tale in which Little Red and her grandmother cleverly outwit the wolf without any help). I especially like this tale because of the positive light it gives fashion. Personally, I think fashion can be a beautiful art form, and if we all have to wear clothes anyway, why not have fun with them? 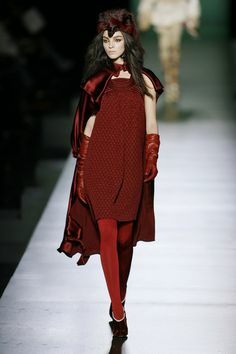 However, in traditional fairy tales, women who like fashion are generally determined to be vain, and often harshly punished, and anything fashion-related is a temptation-especially in Hans Christian Andersen's stories that involve red shoes. Even in my favorite tale, "Beauty and the Beast," Beauty is contrasted against her sisters for preferring simpler, better gifts (a rose and her father's safety) than her sisters (who only care about dresses and jewelry). Although the older French versions make it more clear that Beauty's choice is directed not because she wouldn't like a wardrobe update necessarily, but because she's smart enough to realize her father probably won't gain back his former wealth, most versions tend to emphasize Beauty's innate goodness is linked with her simpler desires, and the sisters' selfishness is linked with their taste in fashion. This story, in contrast, links the fashionable golden hood with power and familial ties (it was made by her grandmother and had some of her grandmother's magical powers). There is no need for a male to come and save the women in this story. And even though the hood is no longer its famous red color, it is linked to fire, the sun, and "red-hot coals." Read the complete tale to get the full effect! And next up: Gypsy of Once Upon a Blog! Oh! Is it included in the Red Fairy Book? Where did you find it? It should be available on Project Gutenberg. You can read that on line if you don't have an ebook reader. Oooh I hadn't heard of this, but I'll be digging out my copy of The Red Fairy Book and having a read! It does sound similar to me to the second ending of the Grimms' tale, and I agree that it is often sadly forgotten. It really changes the meaning of the story. Interesting point about fashion, too. And colour - the cloak not being red removes a lot of the sexual connotations of the story. For me, gold is no less potent (as you say, it's linked to the sun and fire which are two very powerful things!) and gives the story a more magical, uplifting tone. Cheers for the blog tour! I just posted my tale. Unbreakable Kimmy Schmidt: A Modern Cinderella?